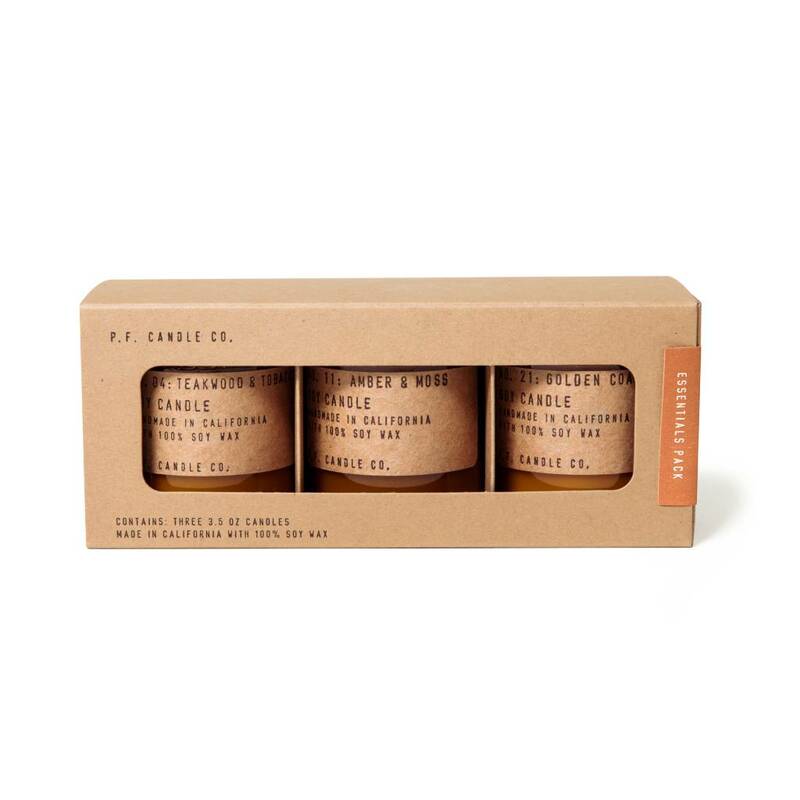 The PF Candle Essentials Gift Set includes their three best-selling 3.5 oz mini soy candles - musky Teakwood and Tobacco, woodsy Amber & Moss, and breezy Golden Coast. Packaged in a PF branded kraft box set and ready for gifting! 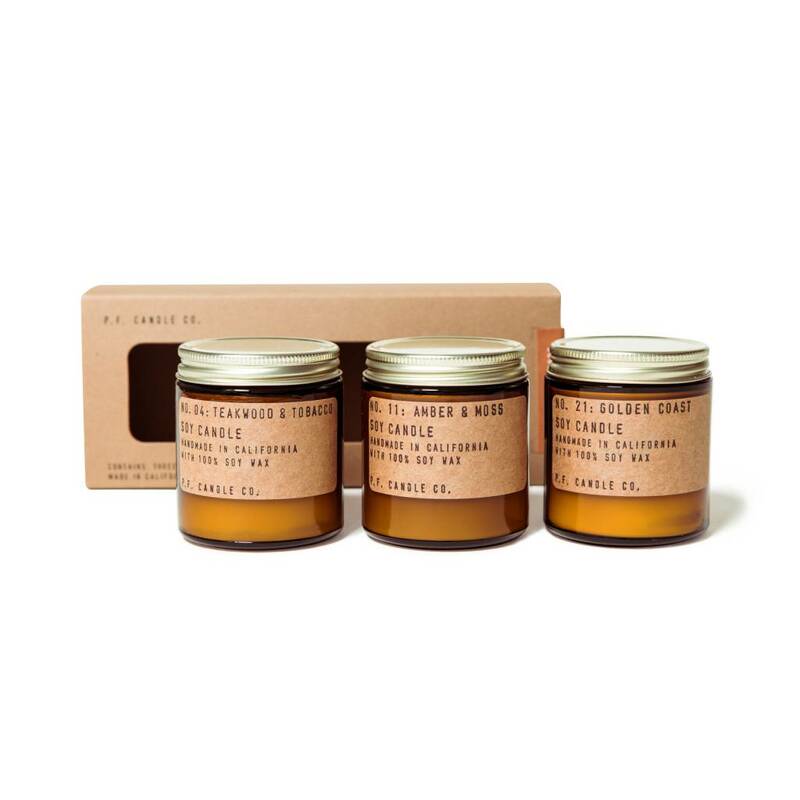 Our 3.5 oz Mini Candles are hand-poured into apothecary inspired amber jars with out signature kraft label and a brass lid. 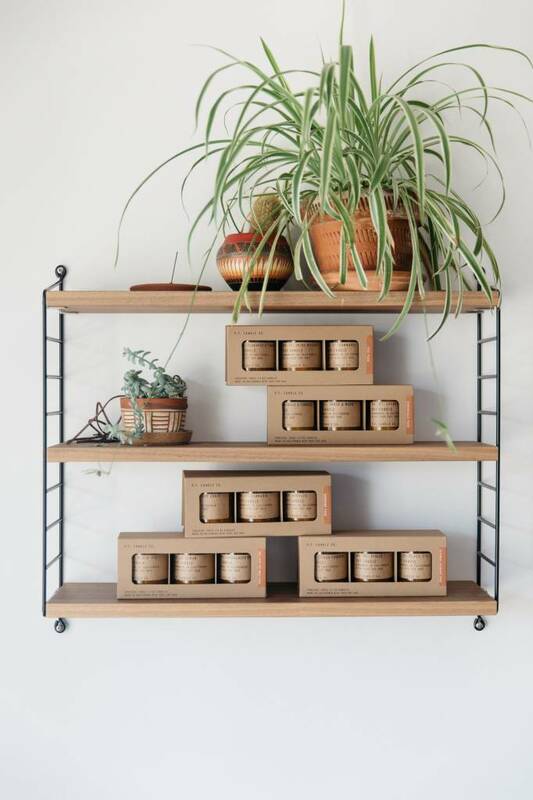 For small spaces, for desks, or for trying new scents. Travel - friendly, too! Ingredients: 100% natural soy wax, phthalate-free fragrance blends. Burns for 20 -25 hours. 2.25" in diameter and 2.75" in height.